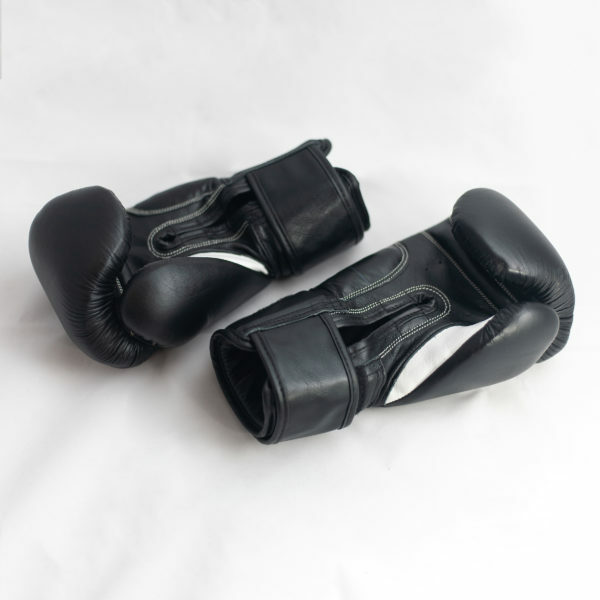 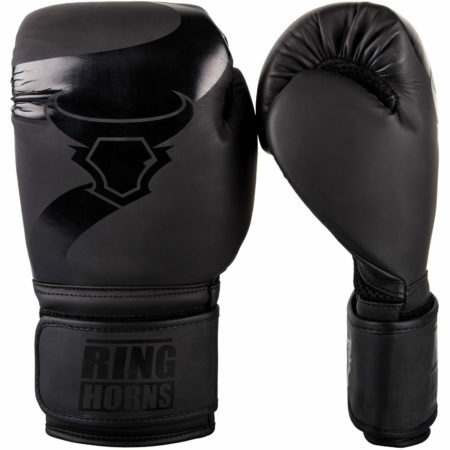 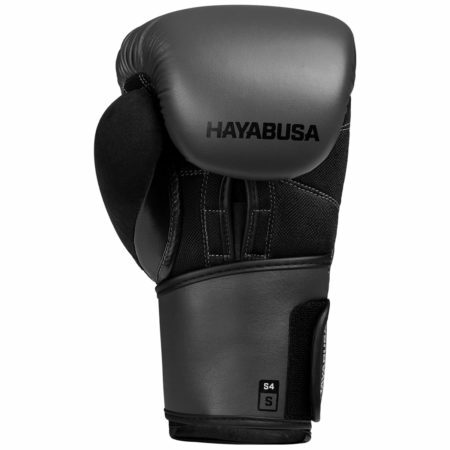 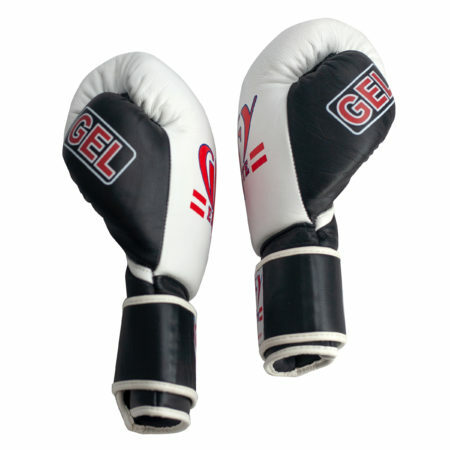 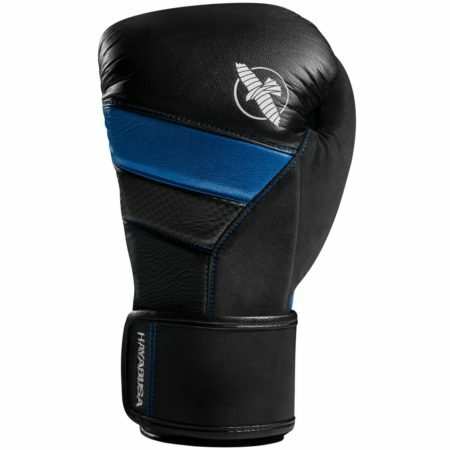 Competition Gloves, but priced reasonable enough to wear for training and sparring. 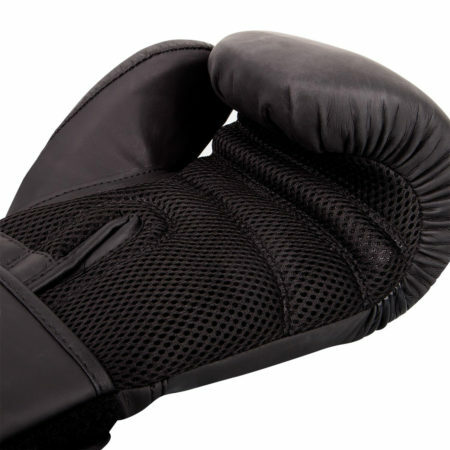 Attached thumb for your safety, and that of your sparring partner. 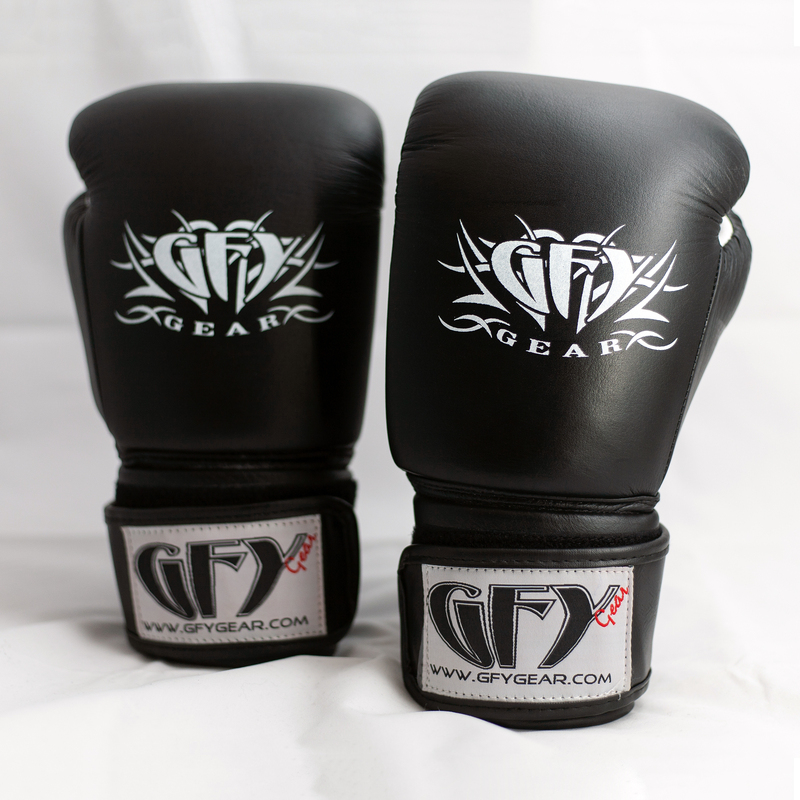 Extra long cuff with full wrist wrap hook and loop closure designed for a better fit, tighter wrist support and ease of use. 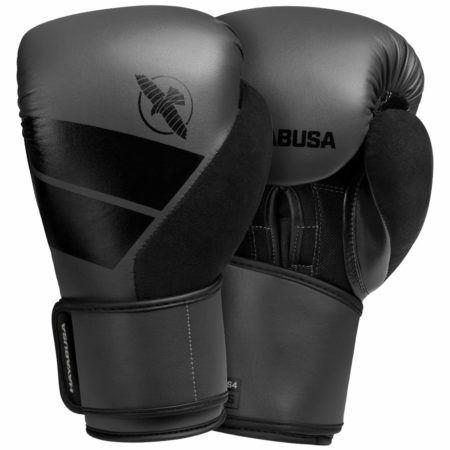 Engineered with triple-layered foam core to provide maximum protection during training and sparring. 16oz. 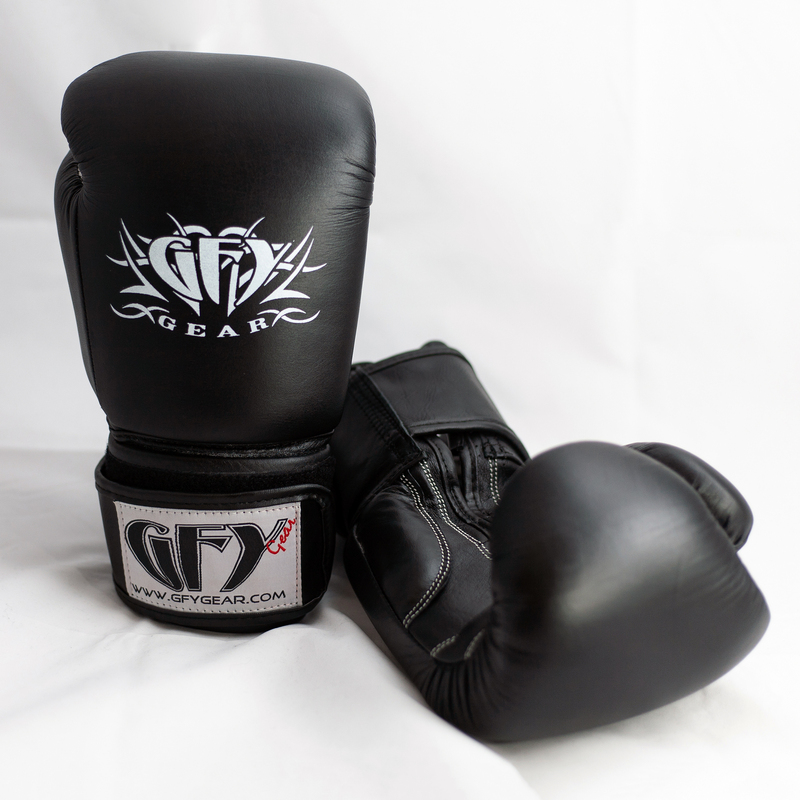 All leather for great comfort and durability. 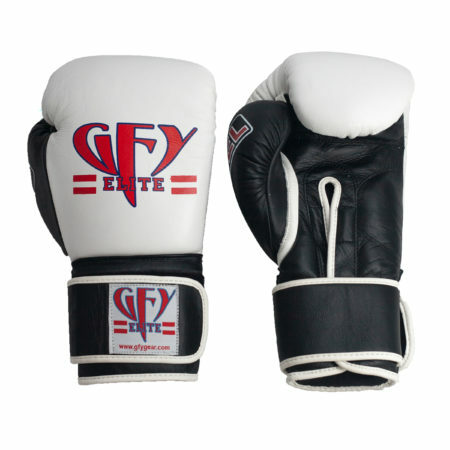 GFY logo on wrist, and GFY Tribal logo on back of glove.